A collection of the shortest songs ever released by Earache Records grindcore artists all pressed on a lovely 5″ red vinyl record and housed in a die cut gatefold sleeve. 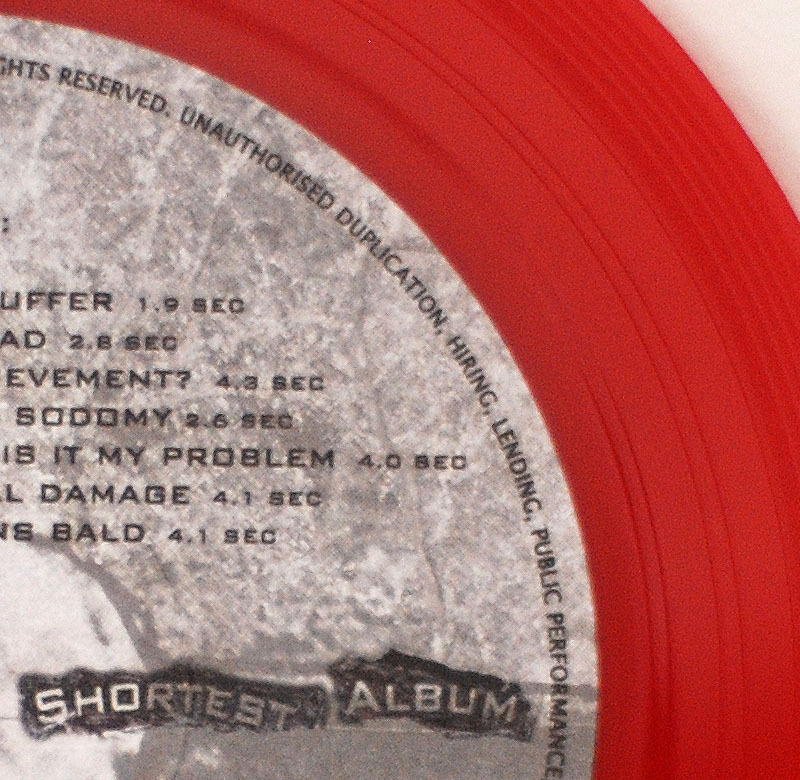 The sticker on the front proudly proclaims “12 songs in 83 seconds”. 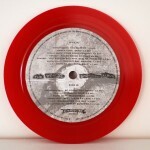 Released as part of Record Store Day 2013. I read this article and found it very interesting, thought it might be something for you. 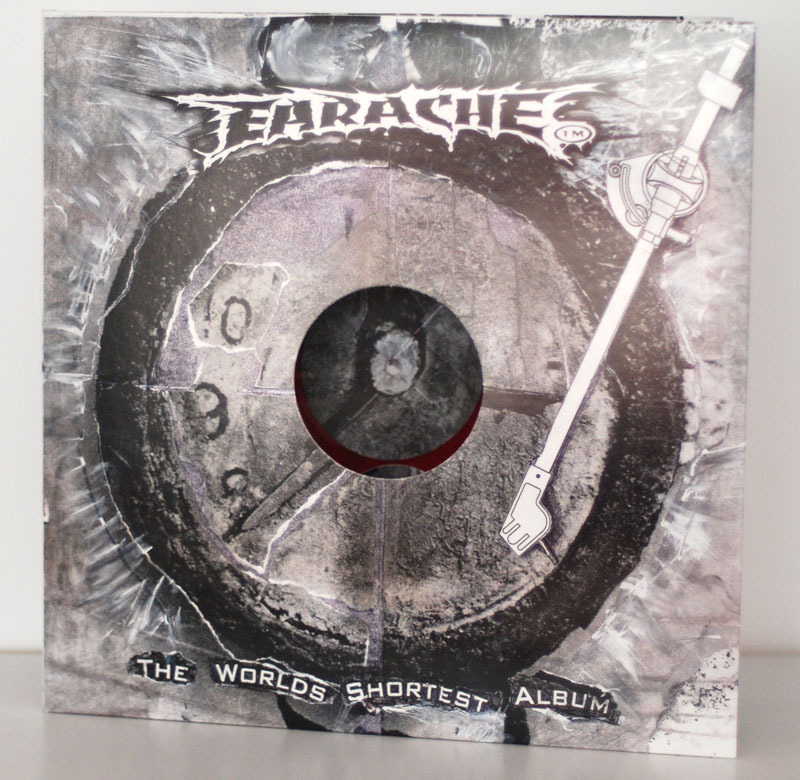 The article is called Various – World’s Shortest Album [Earache] and is located at http://12in.ch/2013/05/various-worlds-shortest-album-earache/.